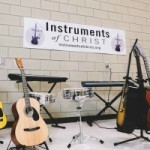 We thank you so much for donating and supporting Instruments of Christ. I promise you that every dollar or instrument you give, is going directly to help bring kids to Christ. 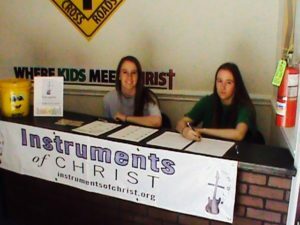 We take used instruments (whatever shape they’re in), or new instruments. 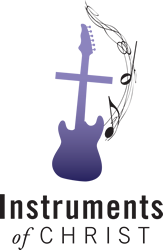 Please contact us if you have instruments to donate. 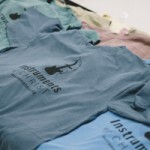 All proceeds of merchandise go towards future events helping kids to know Christ. T-shirts are available in any size for $24.99 (includes shipping). Click here to see t-shirt options. Musicians and instrument lovers, take note. We are doing something special on our website. 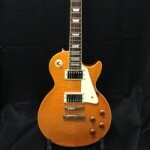 We are raffling off a Gold Epiphone Les Paul Guitar ($499 value). Raffle tickets are $5 for 1, $7 for 3, and $10 for 5. We will announce the special raffle winner at the end of this year. Good luck!